Found him on the 1900 Township 139, Stark, North Dakota census (dist 163 img 1) as Charles Angell age 44, farmer. Father, mother born Massachusetts. Found him on the 1930 Chicago, Cook, Illinois census (dist 2653 img 15) as Charles Z. Angell age 74. Father: William D. BABINGTON Sr.
Found her on the 1900 Williamston, Anderson South Carolina census (dist 67 img 29) as Eula Babington age 10. Found her on the 1920 Charlotte Ward 1, Mecklenburg, North Carolina census (dist 133 img 21) as Eula M. Bundy age 30. Found him on the 1900 Maple Creek, Outagamie, Wisconsin census (dist 91 img 9) as George Buboltz age 18, farm laborer. Father, mother born Germany. He is living in the household of his brother Albert. His parents are living there too. Found him on the 1920 Lebanon, Waupaca, Wisconsin census (dist 139 img 7) as George Buboltz age 38, farmer. Found him on the 1930 Lebanon, Waupaca, Wisconsin census (dist 20 img 4) as George Buboltz age 48, farmer. His wife's brothers Clayton and Albert are living in his household. Found her on the 1850 Rusk, Rusk, Texas census (img 29) as Mary Ann Cancellor age 17. Found her on the 1860 Tyler, Smith, Texas census (img 36) as Ann Ramsour age 26. At rest. April 26, 1954, at Margaretville, N. Y., Frasier Cure of Pine Hill. N. Y., beloved husband of the late Etta Cure, nee Law; loving father of Obed Cure of Pine Hill, Mrs. Etola Post of Catskill, Mrs. William Sprague of Catskill. Funeral services Thursday afternoon at 2 o'clock from the Gormley Funeral Home in Phoenicia. Interment in the family plot in the Shandaken Rural Cemetery. Found him on the 1900 Shandaken, Ulster, New York census (dist 135 img 2) as Frasier S. Cure age 36, farm hand. Father, mother born New York. Found him on the 1930 Middletown, Delaware, New York census (dist 35 img 14) as Fraser Cure age 68, farming. Ethel Harriet Lowry of Alsea died Friday at Corvallis Manor. She was 93. She was born in Portland, the daughter of John B. and Cora Blanche (Dutcher) Bigham, and was educated there. 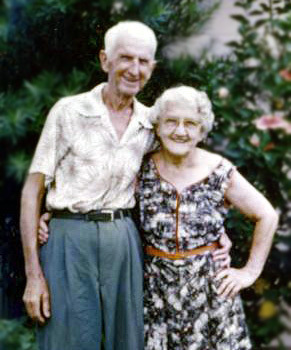 She married Charles Lowry in Portland in September, 1941; they moved to Alsea shortly afterward. She was an active member in the Alsea Garden Club, the PTA, the Alsea Hope Grange and other community services. She and her husband moved to Corvallis in February 1978, subsequently becoming members of the Mountain View Grange. She was preceded in death by her husband Charles in Corvallis in 1990; by two daughters, Pauline Brown of Portland in 1988 and Shirley Kane of Madras in 1989; and by a son, Albert Davey of Aurora in 1994. Found her on the 1900 Pacific, Franklin Missouri census (dist 26 img 6) as Nellie Fanger age 24. Found her on the 1910 Boles, Franklin, Missouri census (dist 47 img 4) as Nellie Fanger age 34. Has given birth to 8 children, 8 are living. Found her on the 1920 St. Louis, St. Louis, Missouri census (dist 495 img 22) as Nellie Fanger age 44. Found her on the 1930 St. Louis, St. Louis, Missouri census (dist 183 img 15) as Nellie Fanger age 42. Miss Cheryl Patricia Finger became the bride of Robert James Morrison last Sunday in the Rhinebeck Dutch Reformed Church. The Rev. Willis Jones officiated. The bride is the daughter of Mr. and Mrs. Floyd Fingar, 27 E. Market St., Rhinebeck, and the bridegroom, of 23 Parsonage St., Rhinebeck, is the son of the late Mr. and Mrs. William Morrison, Poughkeepsie. Given in marriage by her father, the bride was attended by Miss Tyra Tonnesen, Rhinebeck, as maid of honor. Donald Fingar was his brother's best man. The couple will reside in 23 Parsonage St., Rhinebeck, upon return from a wedding trip to the Poconos. Found her on the 1910 Meramac, Jefferson, Missouri census (dist 35 img 13) age 3 months. Found her on the 1920 Pacific, Franklin, Missouri census (dist 55 img 24) as Clara M. Finger age 9. Found him on the 1900 Canton, Stark, Ohio census (dist 104 img 10) age 3. Found him on the 1910 Canton Ward 2, Stark, Ohio census (dist 168 img 25) age 13. He entered the Army on Sept 4, 1918 and was described as 5' 10" white complexion, brown eyes and black hair. Found him on the 1920 Canton Ward 2, Stark, Ohio census (dist 34 img 23) as Clarence Finger age 23, single, living at home, laborer carpenter work. His death was recorded on the Military Record - U.S. National Homes for Disabled Volunteer Soldiers at ancestry.com. This record shows his nearest relative to be his father, L. N. Finger. However his father was actually John P. Finger. Interestingly, the death record with the name of L. N. Finger gives the address of 1630 St Elmo Street, Canton Ohio, which agrees with the address given for John P. Finger on the 1930 census. He was admitted to the Home on May 1, 1931, 9 days before his death. When admitted he had tuberculosis. Found her on the 1860 Northern Division, Spartenburg, South Carolina census (img 27) as Roxanna Finger age 10. Found her on the 1920 San Antonia Ward 8, Bexar, Texas census (dist 99 img 4) as Hulda I. Finger age 3 years 4 months. Found her on the 1930 San Antonio, Bexar, Texas census (dist 145 img 49) as Hulda Finger age 13. "Fingerville cotton factory takes its name from Joseph Finger, who came to the District of Spartenburg from Lincoln County, N.C., in 1839, and in 1849, in partnership with Gabriel Cannon, who was at that time engaged in merchandizing at New Prospect, began the erection of a cotton factory." - History of Spartanburg County, South Carolina by John B. O. Landrum, page 164. Some Court Records from Conveyance Book AA for Spartanburg, 1848-1850 concerning Joseph's business dealings. Found him on the 1850 Spartanburg, South Carolina census (img 195) age 48, carpenter. Also in his household are John Smith age 55 blacksmith, and Hyman Vaughn age 19. Found him on the 1860 Northern Division, Spartanburg, South Carolina census (img 27) age 58, manufacturer. Found him on the 1870 Campobello, Spartanburg, South Carolina census (img 37) as Joseph Finger age 68, manufacture of cotton yarn. She died at the young age of only 20 days. See her on the 1850 Saugerties, Ulster, NY Census as Ann Finger, age 16. Miss Sarah M. Finger, a teacher in the Yonkers public school system for 31 years, died Sunday at her home in Mount Marion, near Saugerties, N. Y., in her sixtieth year. Miss Finger graduated from New Paltz Normal School in 1907, and she came to Yonkers in 1912. She served as a kindergarten teacher in Schools Six, Nine, Twelve and Fourteen until last June when continued ill health compelled her to retire. She was a member of the Park Hill Reformed Church here. Miss Finger is survived by a brother, H. Clinton Finger of Mount Marion, and two sisters, Ella R. Finger of Mount Marion and Mrs. Lucy E. Porter of Newtown. Pa. Funeral services will be held from her late residence tomorrow at 2:30 p.m. Burial will be in Mount Marion Cemetery. - The Herald Statesman Yonkers, N.Y. November 2, 1943 page 2. Sadie M. - called Sarah - O.D.P.S. Found her on the 1920 Saugerties, Ulster, New York census, age 37, living with her brother Howard Finger age 45. Found her on the 1930 Saugerties, Ulster, New York census as Sara Finger, age 47, single, living with her mother. Teacher, public school. Found her on the 1880 Spring Valley, McPherson, Kansas census (dist 273 img 9) as Laura E. Finger age 30. Found her on the 1880 Elm, Pratt, Kansas census (dist 176 img 6) as Laura E. Finger age 48. This census says she was born April 1852. Has given birth to 6 children, 6 are living. Found her on the 1885 Paxton, Pratt, Kansas state census as L. E. Finger age 32. Found her on the 1900 Elm, Pratt, Kansas census (dist 176 img 6) as Laura E. Finger age 48. Has given birth to 6 children, 6 are living. Found her on the 1910 Wichita Ward 6, Sedgwick, Kansas census (dist 144 img 4) age 59. Found him on the 1930 Baltimore (Independent City), Maryland census (dist 2 img 3) as John H. Hofmeier age 33, oil refining. Father, mother born Germany. He attended the Caroline Street school. His wife's sister, Lizzie also attended. Found her on the 1880 Potter, Yates, New York census (dist 222 img 12) as Elizabeth Lazarus age 31. Found him on the 1900 Lenoir, Caldwell, North Carolina census (dist 26 img 10) age 11. Found her on the 1930 Bronx, Bronx, New York census (dist 487 img 51) as Fannie E. Finger age 44. Found him on the 1900 Civil District 14, Knox, Tennessee census (dist 86 img 13) as Charley E. Thomas age 10. Found him on the 1910 South Knoxville, Knox, Tennessee census (dist 109 img 4) as Charlie Thomas age 21, single, living at home. Finisher, mantle factory. Found him on the 1900 Livingston, Columbia, New York census (dist 25 img 2) as John Vosburgh age 30, farm laborer. Found him on the 1870 Dover, Tuscarawas, Ohio census (img 71) as John Weller age 11. Found him on the 1900 Walker, Moniteau, Missouri census (dist 88 img 19) as John Weller age 40. Found her on the 1850 Sodus, Wayne, New York census (img 9) as Margaret Tinklepaugh age 62.